And I must say – it was delicious! I got to try 3 different kinds and I’m going to tell you about each of them. And I will in the order I tried them (which happened to be over a few weeks’ time…I love chocolate, but this is stuff that deserves to be savored!). Okay, I’m going to be honest here…this chocolate is different. My hubby doesn’t like dark chocolate AT ALL so he was automatically out of the trying after the first piece. It is a bitter-ish taste, and then you can taste the greentea and the peppermint. It is interesting – in a good way. Personally, could I sit down and eat an entire bar at once – no, but again, I’m more of a milk chocolate girl. But this is great for my afternoon sweets hankering! 2) 70% cacao – Exploding Coconuts! Again – this is a dark chocolate. If you are expecting an Almond Joy bar here – you are going to be wildly mistaken. The Exploding Coconuts! bar is unlike anything I have tried before, but you can taste the freshness in it. The chocolate is very good, and the coconut is still crunchy and delicious. Have I mentioned that I’m not a HUGE fan of dark chocolate? Well, this bar might just be the turning point for me. It was so good, again, you can really just taste the chocolate (which sounds really weird, but I mean, you taste the chocolate more than sugar like you do in other bars). It is really good! 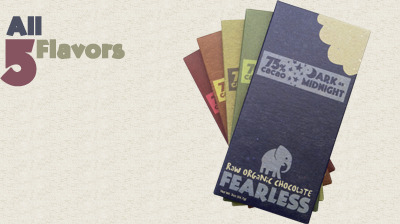 I honestly had no idea what to expect when I tried organic chocolate. I had no expectations, but I will say that I was pleasantly surprised!